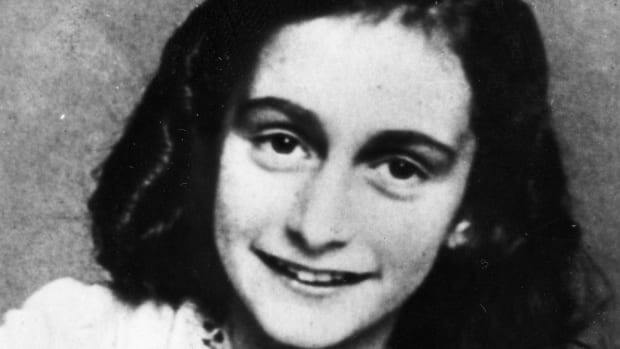 Anne Frank was born Anneliese Marie Frank in Frankfurt, Germany, on June 12, 1929, to Edith Hollander Frank (1900-45) and Otto Frank (1889-1980), a prosperous businessman. Less than four years later, in January 1933, Adolf Hitler became chancellor of Germany and he and his Nazi government instituted a series of measures aimed at persecuting Germany’s Jewish citizens. Did you know? In 1960, the building at Prinsengracht 263, home to the Secret Annex, opened to the public as a museum devoted to the life of Anne Frank. 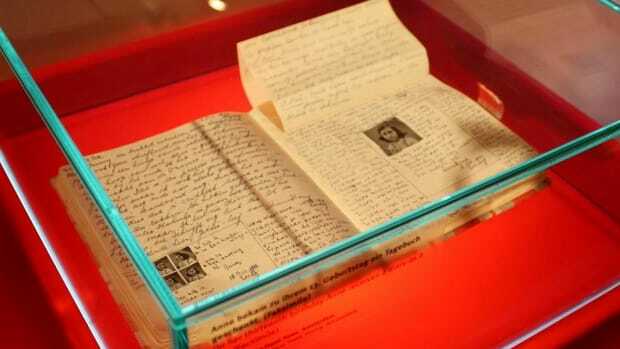 Her original diary is on display there. By the fall of 1933, Otto Frank moved to Amsterdam, where he established a small but successful company that produced a gelling substance used to make jam. After staying behind in Germany with her grandmother in the city of Aachen, Anne joined her parents and sister Margot (1926-45) in the Dutch capital in February 1934. In 1935, Anne started school in Amsterdam and earned a reputation as an energetic, popular girl. In May 1940, the Germans, who had entered World War II in September of the previous year, invaded the Netherlands and quickly made life increasingly restrictive and dangerous for Jewish people there. Between the summer of 1942 and September 1944, the Nazis and their Dutch collaborators deported more than 100,000 Jews in Holland to extermination camps. 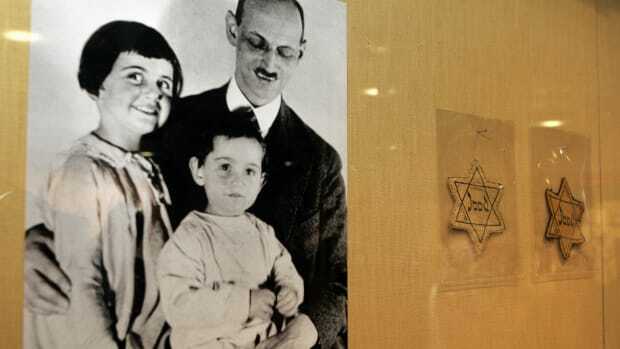 In early July 1942, after Margot Frank received a letter ordering her to report to a work camp in Germany, Anne Frank’s family went into hiding in an attic apartment behind Otto Frank’s business, located at Prinsengracht 263 in Amsterdam. In an effort to avoid detection, the family left a false trail suggesting they’d fled to Switzerland. A week after they had gone into hiding, the Franks were joined by Otto’s business associate Hermann van Pels (1898-1944), along with his wife Auguste (1900-45) and their son Peter (1926-45), who were also Jewish. A small group of Otto Frank’s employees, including his Austrian-born secretary, Miep Gies (1909-2010), risked their own lives to smuggle food, supplies and news of the outside world into the secret apartment, whose entrance was situated behind a movable bookcase. In November 1942, the Franks and Van Pels were joined by Fritz Pfeffer (1889-1944), Miep Gies’ Jewish dentist. Life for the eight people in the small apartment, which Anne Frank referred to as the Secret Annex, was tense. 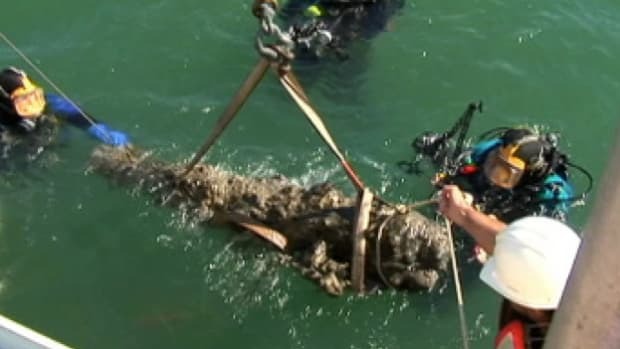 The group lived in constant fear of being discovered and could never go outside. They had to remain quiet during daytime in order to avoid detection by the people working in the warehouse below. Anne passed the time, in part, by chronicling her observations and feelings in a diary she had received for her 13th birthday, a month before her family went into hiding. 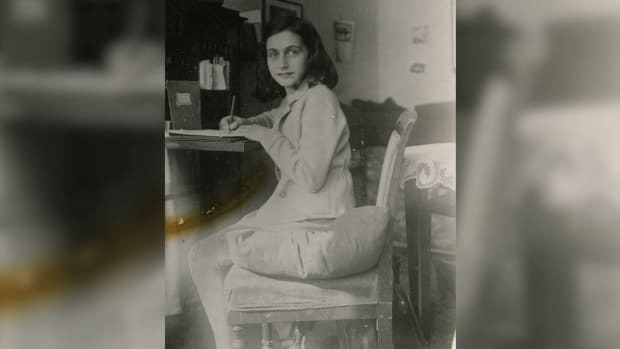 Addressing her diary entries to an imaginary friend she called Kitty, Anne Frank wrote about life in hiding, including her impressions of the other inhabitants of the Secret Annex, her feelings of loneliness and her frustration over the lack of privacy. While she detailed typical teenage issues such as crushes on boys, arguments with her mother and resentments toward her sister, Frank also displayed keen insight and maturity when she wrote about the war, humanity and her own identity. She also penned short stories and essays during her time in hiding. 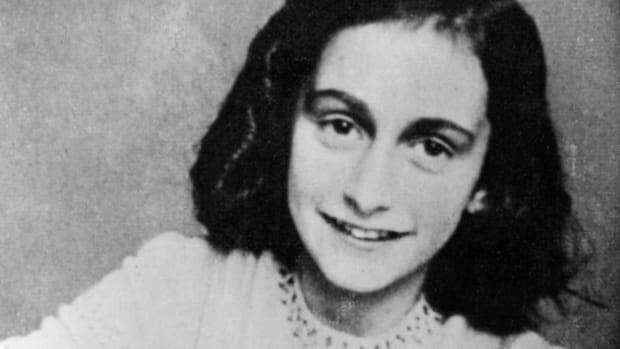 On August 4, 1944, after 25 months in hiding, Anne Frank and the seven others in the Secret Annex were discovered by the Gestapo, the German secret state police, who had learned about the hiding place from an anonymous tipster (who has never been definitively identified). After their arrest, the Franks, Van Pels and Fritz Pfeffer were sent by the Gestapo to Westerbork, a holding camp in the northern Netherlands. From there, in September 1944, the group was transported by freight train to the Auschwitz-Birkenau extermination and concentration camp complex in German-occupied Poland. 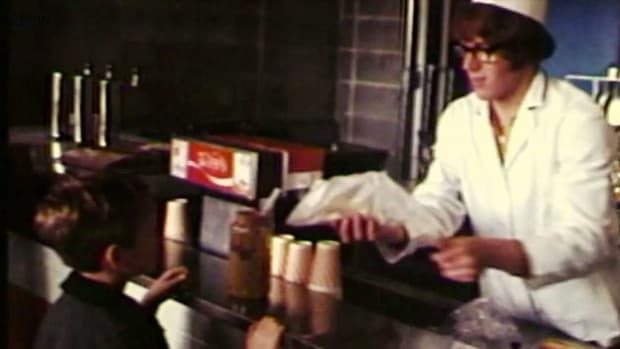 Anne and Margot Frank were spared immediate death in the Auschwitz gas chambers and instead were sent to Bergen-Belsen, a concentration camp in northern Germany. In March 1945, the Frank sisters died of typhus at Bergen-Belsen; their bodies were thrown into a mass grave. Several weeks later, on April 15, 1945, British forces liberated the camp. Edith Frank died of starvation at Auschwitz in January 1945. Hermann van Pels died in the gas chambers at Auschwitz soon after his arrival there in 1944; his wife is believed to have likely died at the Theresienstadt concentration camp in what is now the Czech Republic in the spring of 1945. Peter van Pels died at the Mauthausen concentration camp in Austria in May 1945. Fritz Pfeffer died from illness in late December 1944 at the Neuengamme concentration camp in Germany. Anne Frank’s father, Otto, was the only member of the group to survive; he was liberated from Auschwitz by Soviet troops on January 27, 1945. When Otto Frank returned to Amsterdam following his release from Auschwitz, Miep Gies gave him five notebooks and some 300 loose papers containing Anne’s writings. Gies had recovered the materials from the Secret Annex shortly after the Franks’ arrest by the Nazis and had hidden them in her desk. (Margot Frank also kept a diary, but it was never found.) 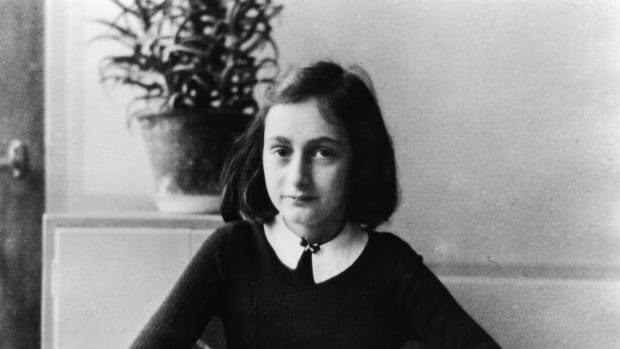 Otto Frank knew that Anne wanted to become an author or journalist, and had hoped her wartime writings would one day be published. 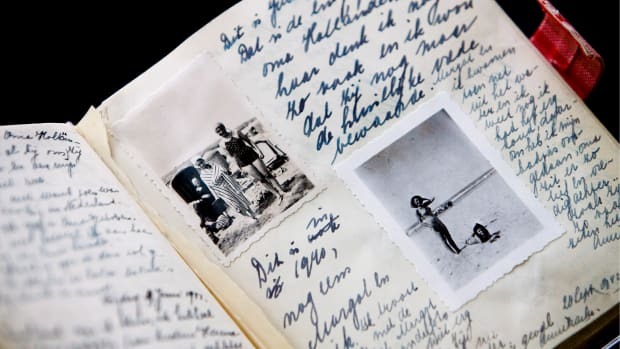 Anne had even been inspired to edit her diary for posterity after hearing a March 1944 radio broadcast from an exiled Dutch government official who urged the Dutch people to keep journals and letters that would help provide a record of what life was like under the Nazis. After his daughter’s writings were returned to him, Otto Frank helped compile them into a manuscript that was published in the Netherlands in 1947 under the title “Het Acheterhuis” (“Rear Annex”). Although U.S. publishers initially rejected the work as too depressing and dull, it was eventually published in America in 1952 as “The Diary of a Young Girl.” The book, which went on to sell tens of millions of copies worldwide, has been labeled a testament to the indestructible nature of the human spirit. It is required reading at schools around the globe and has been adapted for the stage and screen.